The total volume of cargo thefts in the US are down 22% and values are down 15% in Q1-2018 compared to the same quarter last year, according to the latest Sensitech Supply Chain Intelligence Center report. Typically, thieves target goods that are fast and easy to resell and difficult to track. This is especially true with products from the Food & Drinks category, which are quickly consumed, leaving for a short time window to make a recovery. There is also very rarely identifying information on these products once removed from their packaging, complicating the recovery process even further. In Q1-2018, Electronics took over the top spot for most stolen product type from Food & Drinks, the usual front runner in recent years. Food & Drinks saw most thefts coming from Canned & Dry Goods (23%), while the most stolen in the Electronics category were Televisions & Displays (54%). Electronics cargo thefts generally peak in the fourth quarter every year due to increased shipping volumes for the holiday season and the release of new and next-generation electronic goods. Due to the rise in Electronics thefts in Q1-2018, the report contained a special “Quarterly Spotlight” focusing on that product type. Geographically, California by far held the top spot for most Electronics thefts (47%), followed by Texas, Georgia, Tennessee, Florida and Illinois (each under 10%). California was also ranked as the top state for overall cargo thefts (37%), 4% lower than the same quarter last year, but a rise of 36% over Q4-2017. Illinois jumped to second place (13%), recording a significant jump over Q1 and Q4-2017. Florida, Texas and Georgia ranked third, fourth and fifth respectively. Colorado and Mississippi remarkably jumped to eighth and tenth positions respectively after recording zero thefts in both Q1 and Q4-2017. In terms of where cargo thefts are occurring, Unsecured Parking was by far the most common location for reported incidents in Q1-2018, accounting for 92% of all thefts where a location type was reported. Secured Parking and Warehouse/Distribution Center location types accounted for 4% of total reported thefts each. 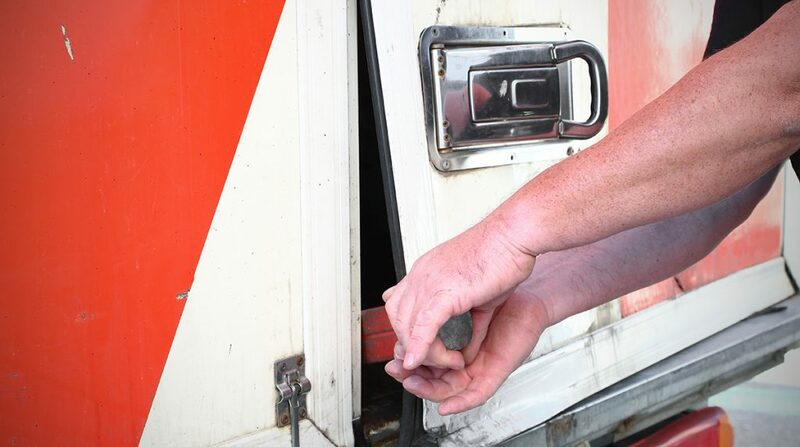 As usual, the most common type of cargo theft is categorized as Theft of Full Truckload, accounting for 88% of all reported thefts with an average loss of $121,624. Pilferage, also known as less-than-truckload (LTL) theft, dropped 36% from last year’s record highs, but still accounted for 9% of total thefts. Thieves often target LTL shipments as they’re frequently not as secured as full truckload shipments. Theft of Full Truckload numbers have continued to drop since its peak in 2009 due to increased security measures, including team driving (where two drivers make runs together) and increased adoption of telematics that can track anything from vehicle location to driver behavior to cargo security and status. While traditionally, high theft value was the main factor in cargo theft risk, trends are shifting as thieves recognize new security measures. As methods used by cargo thieves evolve to take on the new security landscape, trucking and logistics companies should take proactive measures now to ensure they’re protected as we’re sure to continue to see new types of cargoes being targeted in new regions. Tackling cargo theft is no small task, but we’re already witnessing the benefits of the fight against it as theft rates have continued on a downward trend since 2009. ORBCOMM has been a frontrunner in the industry, servicing such companies as Maersk and Walmart with our comprehensive suite of end-to-end solutions – from applications to hardware to support. 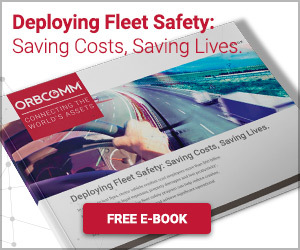 For more information on ORBCOMM or our telematics security solutions, contact sales@orbcomm.com.